Located at the end of a peaceful & quiet cul-de-sac and set in a bushland environment in the lushious suburb of Kirrawee. 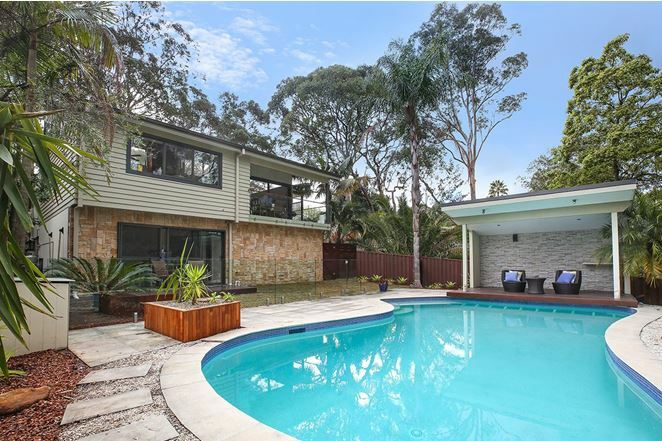 Sits this magnificent family home on 2 Kittani Street. The well positioned resort style house has a special feeling about it. EIther if it’s chilling out by the pool and soaking up the natural bush surroundings. Or enjoying the copious living areas in this fantastic property. One must inspect this place for themselves to really experience what this home is really like. Enough space for growing and established families, there are 4 bedrooms which are all complete with built-in wardrobes. Each bedroom has been made to provide enough natural light and fresh air in, to keep that mould away. An extra space that is handy for the kids to do their homework or Mum’s sewing area, is the study. There are 3 stunning bathrooms, that are beautifully crafted and designed by skilful tradesmen. With the Master Room coming with its own ensuite, that is fit for a king. With plentiful moving space and 2 separate living areas. Families have the option to entertain friends and children at the same time, without compromising comfort. The Kitchen’s layout has enough entertaining area to host a cocktail party or serve up a hot breakfast for you and your family. And with the addition of a large island table and large windows, this eatery is a stunning site to see. Throughout this resort style home you will find natural finishings and a theme that is matched to perfection. A sparkling inground pool and outdoor sitting, makes this property a complete holiday retreat. But the great thing is; you’re in your own backyard. Filled with an abundance of storage space and a lock up garage for your vehicle and other toys. Parents and their kids that enjoy the great outdoors of The Shire. Can have the peace of mind that the clutter of household goods can be stowed away and easy to access without compromising style & design. Low maintenance gardens that are set in a beautiful and riveting landscape, bring about the essence of the native bush surroundings. That complement this well thought out and designed home. Only minutes away from Kirrawee Station and other amenities, let yourself relish in the holiday lifestyle without leaving your home. There is so much more to this property than meets the eye. An you have to see it’s magic for yourself. So, don’t miss out on the opportunity to inspect the design and build of this brilliant Kirrawee house. And click here to find out more about 22 Kitanni Street, Kirrawee, NSW 2232. Or if you are keen to have a chat to us now? Then give Derin Hill or Chris Faras a call now on (02) 9545-2220. They will be more than happy to have a discussion with you and your family regarding this fantastic opportunity. Hill & Viteri Property “Helping People through Real Estate” click here for more Open Homes and Real Estate Listings.